This is an important safety announcement for all consumers who have purchased an Ariston or Indesit branded tumble dryer after April 2004. 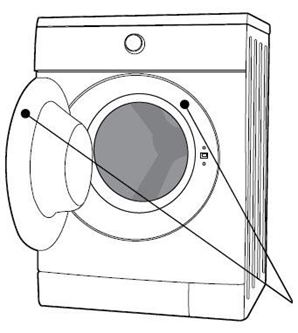 A potential safety and quality concern has been identified with two types of tumble dryers manufactured between April 2004 and September 2015. In some rare cases, excess fluff can come into contact with the heating element and present a risk of fire. We are activating an extensive consumer outreach and service action plan in order to update affected products** to higher safety and quality standards to address this issue. If you have an affected product**, we will arrange a visit from our technician, free of charge, to modify your appliances. The improvements we believe are necessary will further enhance the safety and quality of the dryer. You should unplug and do not use the tumble dryer before a modification has taken place. If your tumble dryer has already been modified then no further action is required. Make sure you have your model and serial numbers at hand. These can be found on the tag located either on the back of the dryer's door or on the recess of the dryer's door.